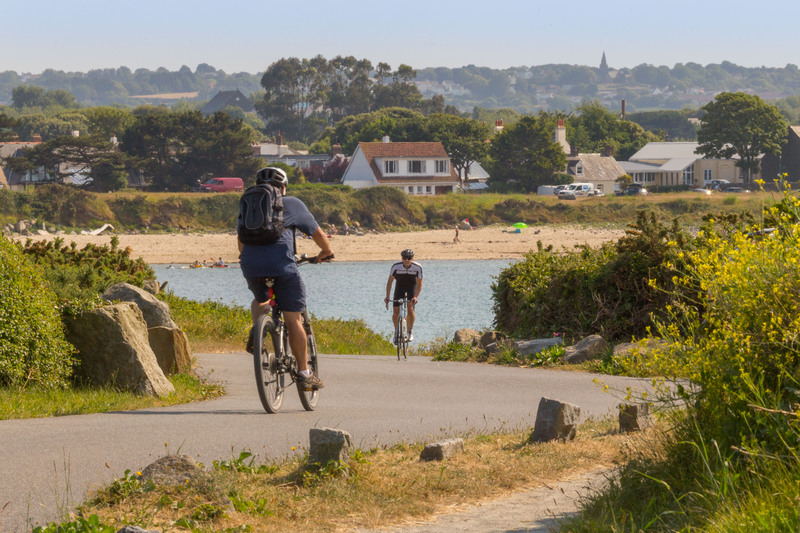 Guernsey’s charming network of inland lanes, stunning coastline and beautiful cycle paths are just waiting to be explored. So during your Guernsey holiday this year, no matter whether you choose to get around by car, foot, bus or boat, there are many ways to travel around the island to see its beauty. Here we take you through all the different ways you can get around this paradise of an island. 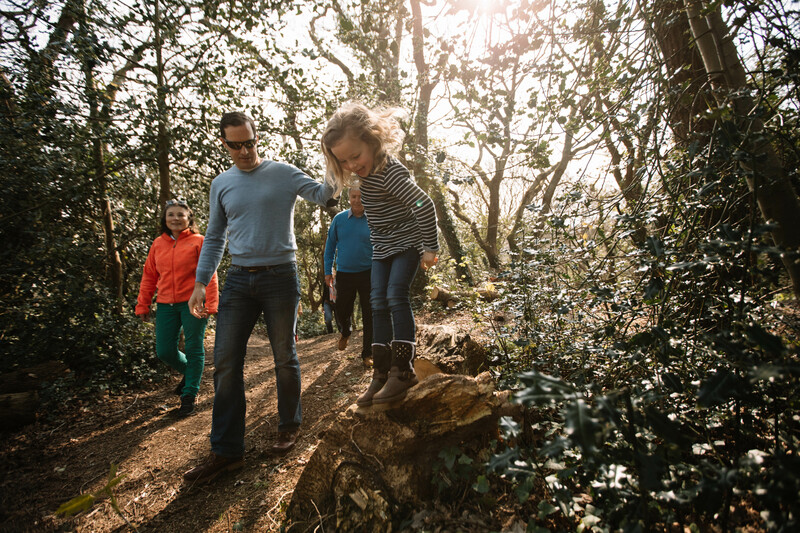 One of the best ways to make the most of the island is to explore it by foot with Guernsey being somewhat of a walker’s paradise as it is home to a whole host of walks. There are short and long walks available all over the island meaning that you can find a trail to follow that is perfect for you. Linda Firth, blog owner at Love My Vouchers, recommends the Tasty Walks collection. 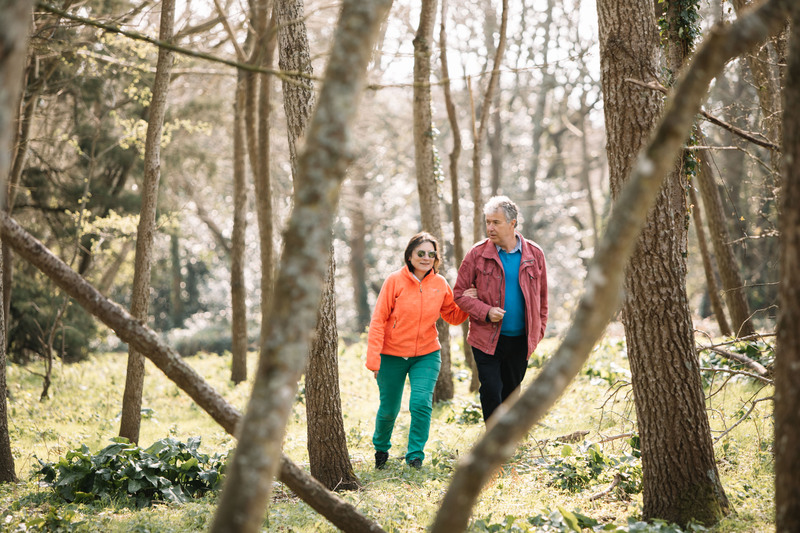 She says, “My husband is an avid art enthusiast and walker, and it was with this in mind that we decided to explore Guernsey on foot. The Tasty Walks collection worked well for us, giving us the chance to take in some spectacular views, including Moulin Huet, the beautiful, rugged bay made famous by Renoir in his series of paintings. “The walks also meant that I could indulge in gastronomic pleasures along the way, as they incorporate some of the best of the island’s restaurants into their routes. I must admit, I was more interested in eating my way round Guernsey, while my husband wore in his new hiking boots, but I did put foot to trail on several occasions. “My favourite was Tasty Walk 1, which takes in the bomb sites and Victoria Tower, the place that provided Victor Hugo with a secluded spot for his clandestine meetings with his mistress Juliette Drouet. Visit Guernsey recommend keen walkers to go on walk 3 of the Tasty Walk collection as there are 7 sections which takes you along the south coast cliffs. This is the longest walk and the route heads from the bustling heart of the capital, St Peter Port, to the most south-westerly tip of the island. The views across the Castle Cornet and the neighbouring islands are spectacular. As this walk is separated into seven sections visitors can do as many or as few of the sections as they like. The Tasty Walks also have audio trail downloads available so walkers can listen to facts about the area you are walking in as well as map downloads being available for each walk so you won’t get lost. With the island being so bike-friendly, another great way to see the sights of Guernsey is by hiring a bike for a day or the entirety of your holiday. Linda Firth adds, “In addition to our hiking trails, we also took a bike along the country lanes and through the farms and fields of Guernsey. This suited me better as we could rapidly get to the highlights of the cycle routes, and then relax and take a well-earned break while taking in the stunning scenery. 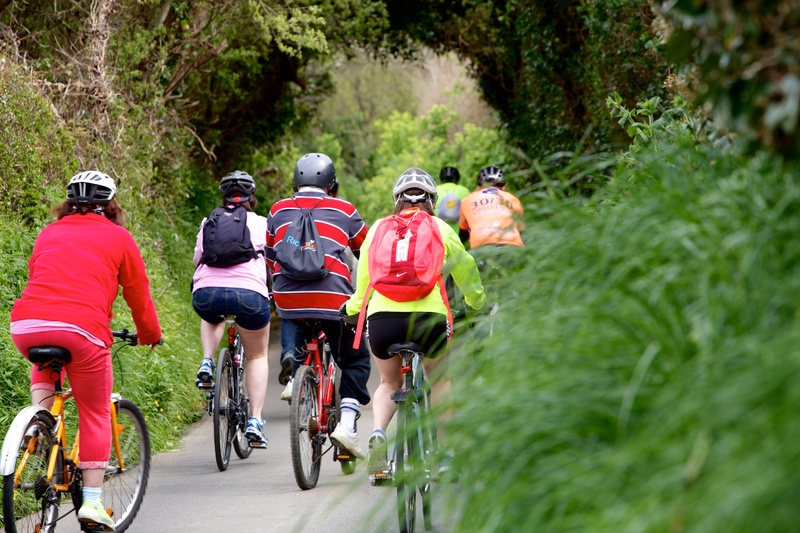 Donkey’s Days Out offer a variety of guided cycling tours, covering much of the diverse terrain and areas of interest that Guernsey has to offer. From historic relics of the island’s Neolithic past to Napoleonic towers and WWII fortifications; from sandy coastal paths to wild nature reserves and narrow, leafy countryside lanes – Donkey’s Days Out tours reach parts of Guernsey that other tours don’t! Tours range from 2.5 to 3.5 hours in duration and start and end from a number of different bus stops around the island. 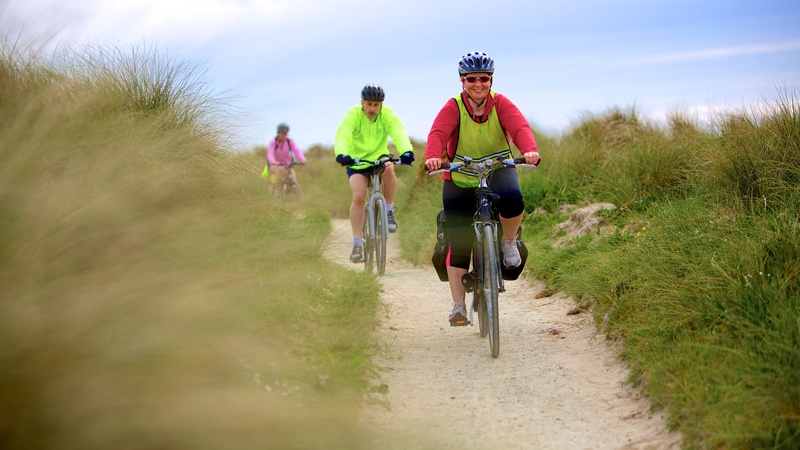 If you are looking to hire a bike, then Go Guernsey Cycle Hire will arrange any combination of bike hire and equipment you need for your holiday, with its wide range of electric bikes, mountain and trekking adult bikes, children’s bikes, tandems, tag-a-longs and trailers. The cycle hire firm are also on hand to help 7 days a week with free breakdown service. All of their Raleigh, Dawes and Claud Butler hire bikes are maintained by a qualified bike mechanic and safety checked before each hire. Whilst some people don’t like taking the bus at home it is a great way to get a relaxing view of the famous Guernsey countryside. If you have small children or members of the family that can’t walk very well, then this is a great way to get around. Linda Firth from Love My Vouchers also recommends this mode of transport, “While my husband embarked on more of the Tasty Walks, I decided to indulge in a little bit of pampering. “I opted to rest my weary legs and sample the local bus service as I headed back into St Peter Port for a luxury spa session at The Old Government Hotel and Spa. The number 71 stopped right outside the hotel, and dropped me off on St. Julian’s Ave.
“This line also services the airport and the west of the island, around L’Eree Bay. Guernsey’s bus service is both cheap and convenient, making it ideal for short trips and day outings. The geographic map is really handy for planning your journey, and the low-floor buses also effectively kneel for you to get on which was a great benefit to some of the more mature travellers that day. A single fare of £1 applies to all journeys, including those on the routes which go around the island. 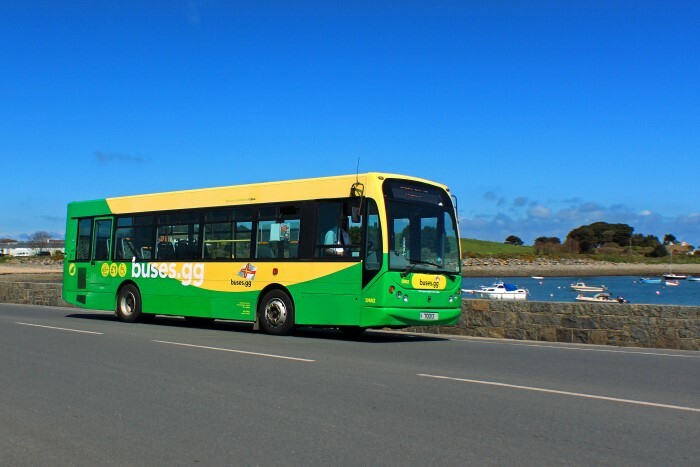 Visit Guernsey recommend going on bus numbers 91 and 92, which are named ‘The Guernsey Vaeux’, as these start from the town terminus taking passengers all-round the island (one clockwise, the other anti-clockwise), finishing back in town. There are travel passes that can be purchased, with a one day pass costing £4.50 and a two day pass costing £7.50. All bus timetables feature a section with visitor attractions by bus number which is very useful for first-time visitors. Feeling the wind through your hair on a lovely warm and sunny day may sound like a dream, but in Guernsey visitors can experience this whilst enjoying breath-taking views as well. Linda Firth also explains why sailing by boat is a must, “As two weeks of island bliss stretched ahead of us, we also decided to take to the seas and discover some of the charm of the neighbouring islands. “As my husband has always loved sailing, and has an insatiable desire for new horizons, we decided to utilise two different water-borne experiences. Our time on the Access Challenger saw us being expertly skippered from Guernsey to the tiny car-less island of Sark and over to Herm where, after some lovely grey seal sightings, we over-indulged on fresh fish in the informal atmosphere of the Ship Inn. The boat can take up to 12 people, and two other couples from the hotel joined us in our charter trip, bringing the costs down considerably. 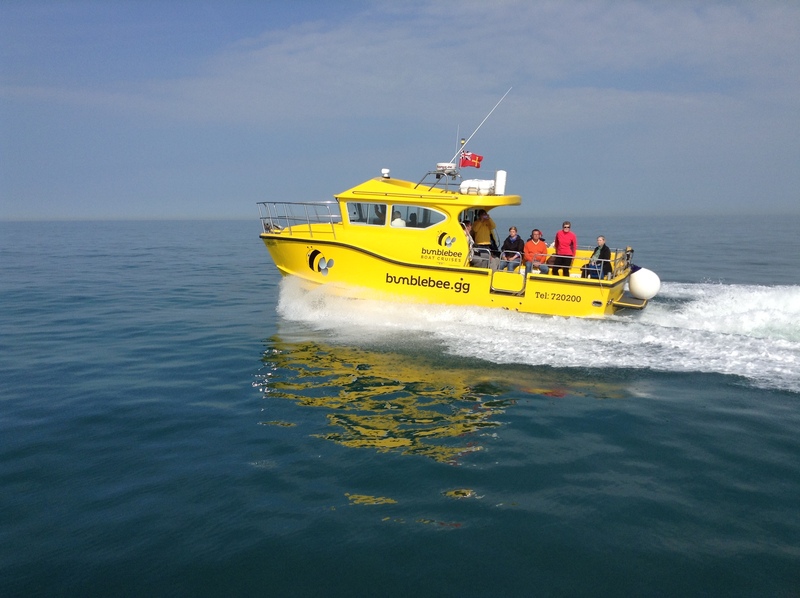 There are some really good boat trips on offer to visitors and one of the best is the ferry service between Guernsey and Alderney, which is run by Bumblebee Boat Cruises every Friday and Sunday throughout the season. Going via catamaran to Alderney is a great day out for all as it is probably the least known of the Channel Islands, despite being a very pretty place in its own right to explore with its wildlife, Victorian forts, cliff scenery and a picturesque town make the island well worth the trip. The journey takes just 1 hour 20 minutes and offers a long day on the island. 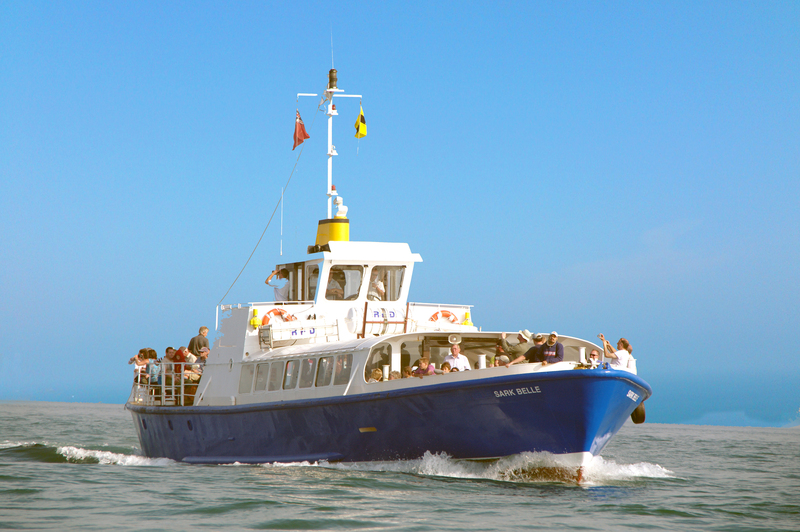 With the Sark Shipping Company visitors can travel between Guernsey and Sark. The shipping company is owned by Sark islanders and the ferries take more than 50,000 passengers on over 1,000 sailings every year. This boat trip doesn’t just give you the opportunity to see another island for a day, but also gives you the chance to see wildlife such as dolphins. A return fare from Guernsey to Sark costs just £28.65 for adults! Hiring a car to get around Guernsey is one of the most popular modes of transport. It’s easy to see why, with the quiet roads and the island-wide 35mph speed limit, meaning you can drive along at your own leisurely pace. If you’d prefer you can, of course, bring your own car with Condor Ferries. There are ‘parking clocks’ that can be bought as a one off and re-used again and again. 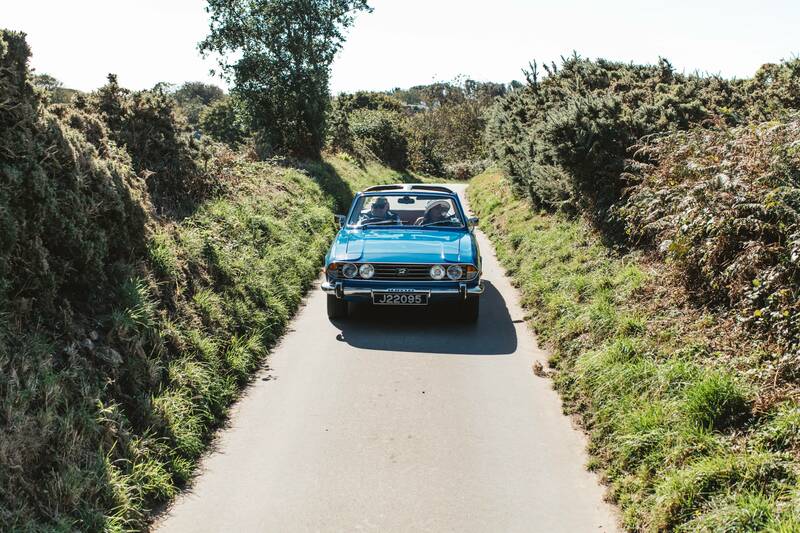 Linda Firth explains why she loved hiring a car during her holiday to Guernsey, saying, “Our main mode of transport for getting around the island was car. We hired a car from Europcar and picked it up from the airport on the first day. “We decided to dedicate a few days to motoring around the island on the coastal circuit. First driving to the 13th century Castle Cornet, we then embarked on the tricky Le Val des Terres climb. After waxing lyrical about the hill climb experts who manage this challenging ascent in a matter of seconds, we set off to the La Valette Underground Military Museum. If you would like to hire a car, then you can book one through us. Europcar Guernsey are regarded by many as the hire company to use on the island as the firm allows you to have the choice of eight manufacturers and 14 different models, including Volkswagen, Seat and Vauxhall. If you would like to have all of Guernsey at your fingertips you can also hire a Guernsey satellite navigation system with Europcar for £7.50 per day as this highlights Guernsey’s top attractions and restaurants. Image Credit: Visit Guernsey, Tony Rive. This entry was posted in Guernsey News and tagged Cycling in Guernsey, walking in Guernsey. Bookmark the permalink.